Pillow sold separately. The BioMat works at peak performance with a BioPillow. They were designed as a set. This Biomat is made to fit on a single bed size. Ideal for those individuals who desire to sleep on the BioMat all night without much need for portability. A large clear 'window' in the BioMat allows the owner to see the abundance of amethyst quartz crystals hand placed in their beautifully constructed 'ribs'. The window panel is made from a highly durable clear silicon urethane. Each 'rib' is individually sewn and runs the width of the BioMat. A 'rib' of amethyst is approximately 1 inch in diameter. A Control Panel with variable heat settings, 100% cotton quilted cover and carrying case are included with the purchase of the BioMat Single. Control unit has 'one' side with full functioning buttons and the other (left) side is left 'blank'. 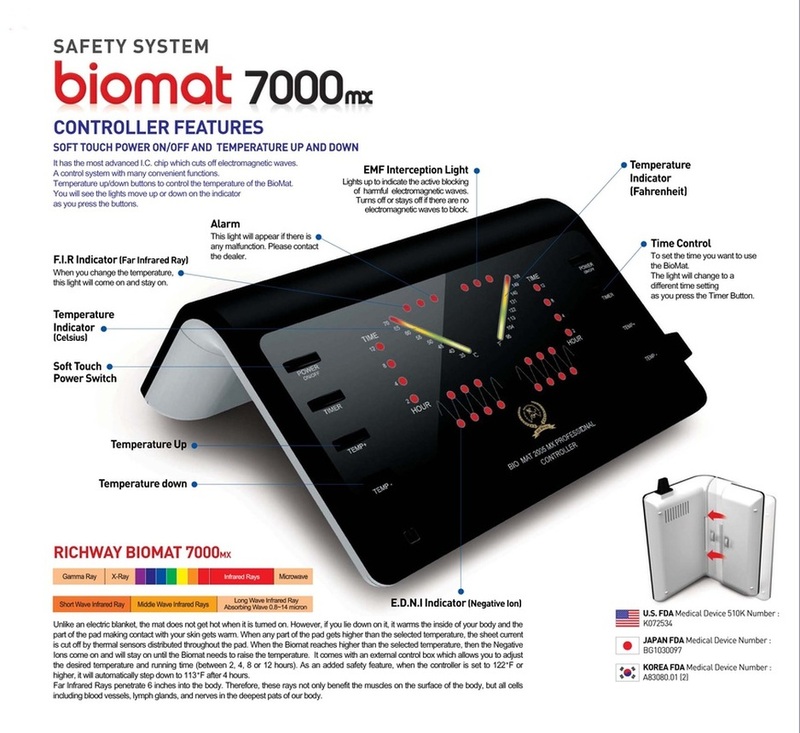 Dual controls are for King & Queen sizes to allow separate temperatures settings on right and left sides of the larger BioMat. The control unit shown to the left was in use through mid November 2012. 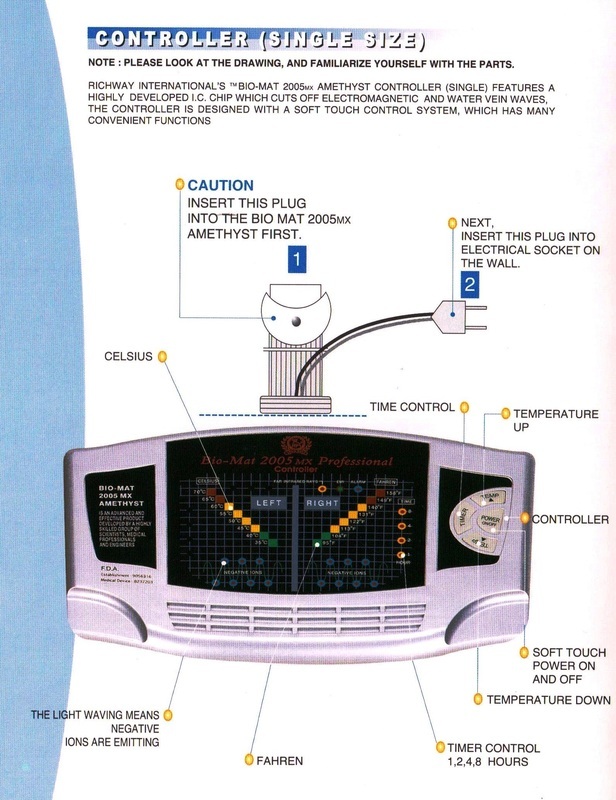 Single BioMat shown below with pre-2013 style control unit. 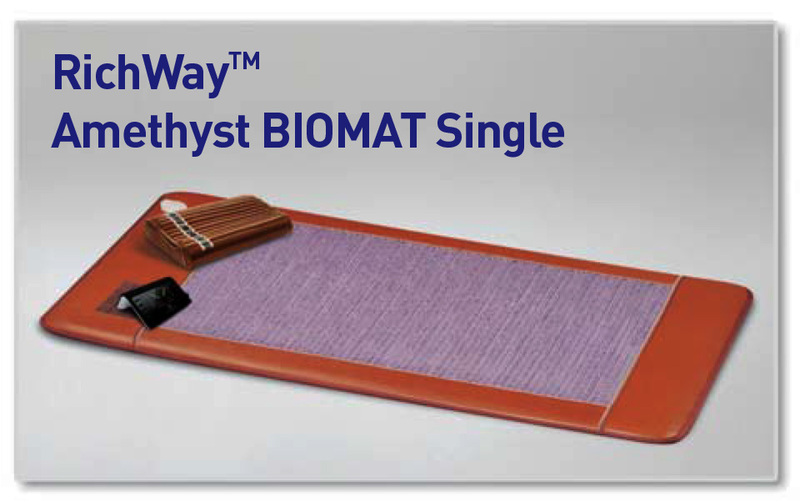 The BioMat works at peak performance with a BioPillow. They were designed as a set.